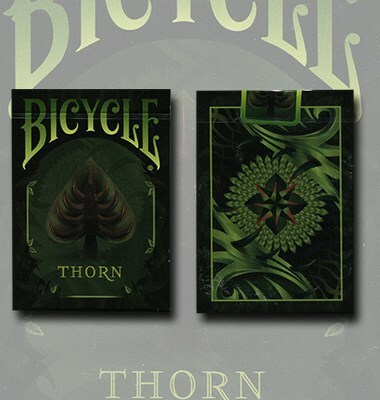 The Thorn deck was inspired by fantasy stories of the jungle. Like the most stories of the inhabitants of the deep forest, the court card illustrates the keepers of the lush, green world deeply hidden from humans. The Guardians are adorned with heavy armor and swords. Like thorns, they guard the sacred forest from the human hand.